Our high-efficiency laundry detergent is ultra-concentrated and packs as much punch in a few easy pumps as a capful of traditional detergent! Plus, Scentsy Laundry Liquid delivers the perfect amount of amazing Scentsy fragrance with every load. Our cutting-edge formula transforms the way cleaning agents bond with dirt and stains, lifting and washing them away and leaving your clothes, towels, and linens remarkably fresh and clean. Available in 12 fragrances. Keep your clothes luxuriously soft, help prevent static and enjoy blissful fragrance all at once. 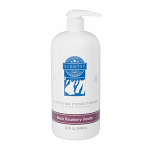 Scent Soft is formulated to disperse easily in the rinse cycle, so you (and your clothes!) enjoy fabulous results every time. Available in 7 fragrances. 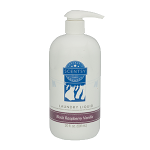 Imagine pulling your laundry out of the dryer, warm and scented with Scentsy fragrance! Simply add a Scentsy Dryer Disk to your dryer and infuse your clothes with scent for pup to 15 loads. Available in 12 fragrances. Of course if you like to save money on Scentsy™, we have our special laundry bundle discount called “Laundry Love”. With each Scentsy Laundry Love discount bundle, you receive 1 Scentsy Laundry Liquid, 1 Scentsy Laundry Washer Whiffs Tub, and 1 boxes of Scentsy Dryer Disks (total of 4 disks) while saving $10! Your choice of fragrances. Once you click on the link, scroll down to find the Laundry Love Combine & Save Package.